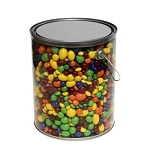 Pails and Tubs can create a wide array of atmospheres. 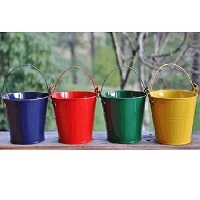 Colored pails are fun for kids, wooden pails bring a nostalgic feel, and metal tubs convey a modern elegance. Whatever your display needs may be, we have the products you need. 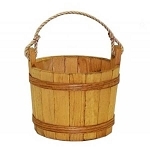 For indoor and outdoor uses tubs and pails are perfect choices. Outside there are so many decoration applications, such as wooden planters outside your entrance to create a welcoming appeal. Once inside your business the ideas are limitless! 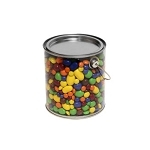 Fill metal tubs with such a variety of merchandise. 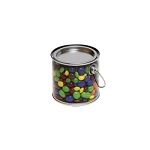 Larger metal and wooden tubs are great for souvenir clothing like sweatshirts and T-shirts, a great ice bucket to display beverages (most require a liner) or lots of candy and other treats. 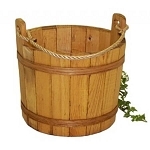 Wooden buckets can add a real rustic feel to your location while showing off products. 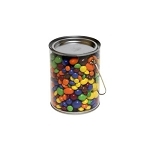 Fill with old time candy to really add some nostalgic touches. 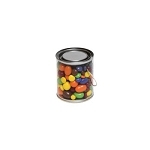 A good way to display longer candies such as giant pixy sticks or fun balloons on sticks, lollipops and so much more! 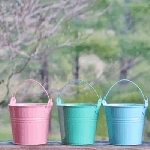 Small buckets and pails make a unique display for smaller goodies like tootsie rolls, bubble gum and such. 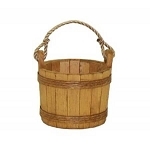 Fill with a variety and sell as gift items or the pails alone for others to create their own gifts and favors with. 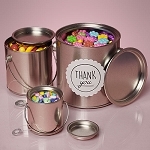 Large metal buckets are a popular way to create dirt cakes for kids and the small buckets are another twist so that you can create mini dirt cakes! The ideas and uses are extensive!